Often confused with a trumpet, the cornet is the most numerous and main melody instrument of a brass band. There are 2 types used in a brass band, Eb and Bb. The Eb Cornet or Soprano Cornet has the highest sound or "pitch" of any instrument in the band, and often plays high solo parts over the main melody. A band normally only uses one of these but may use nine or more Bb Cornets. These Bb cornets cover a number of different parts: (i) Solo Cornets plays most of the melody parts in the band (ii)The 2nds & 3rds may play in harmony or unison with the Solos, or provide rhythms (iii) Repiano, the nomad of the section, lending weight to other cornet parts when needed. The Flugel Horn, which looks a bit like an overgrown cornet, is the link between the cornet and the horns. 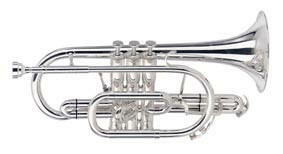 Like the cornet, it is pitched in Bb, and may be used to support the cornet section or horn section. However, because of its mellow tone, is more and more used as a solo instrument especially in arrangements of modern tunes. Outside brass bands it is used extensively in the Jazz world. 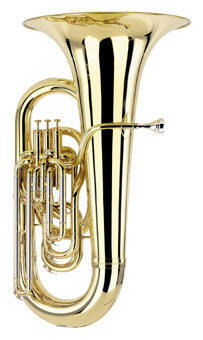 The Eb Tenor Horn, which looks like a small tuba, is only found in brass bands. 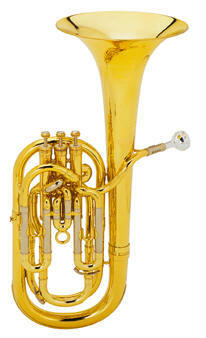 A member of the Saxhorn family of instruments, it provides much of the "middle filling" of the band. Its role tends to be rhythmic, but more and more is used as a solo instrument, because of it's beautiful haunting tone. Bands tend to use 3, covering the Solo, 1st and 2nd Horn parts, which usually work in harmony with each other. 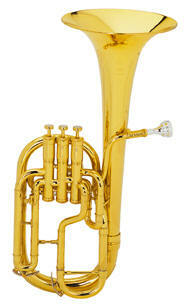 The Baritone, like the horn, is a member of the saxhorn family, and occupies the middle of the band. It often works with the horns, but also provides valuable support to the euphoniums when the melody line moves towards the lower end of the band. A band will use two, to cover 1st and 2nd Baritone parts. The Trombone is the odd man out in the brass band. Whereas all the other brass instruments use valves to get different notes, the trombonist must use a slide. In brass bands they tend to provide punch and drive to rhythms and melodies. A band will also use a Bass Trombone which provides a link to the bass section. The bass trombone is also the only instrument in the band that uses the bass clef. 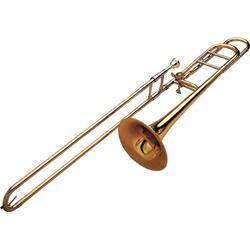 The trombone is also widely used in jazz, classical and popular music. 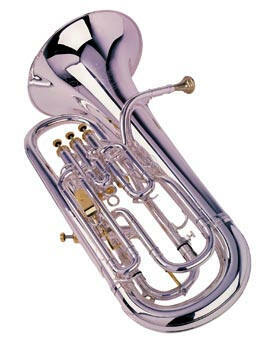 The Euphonium is the second melody instrument in the band, valued for its powerful, soulful tone. It's bigger than the baritone and often comes with a fourth valve. 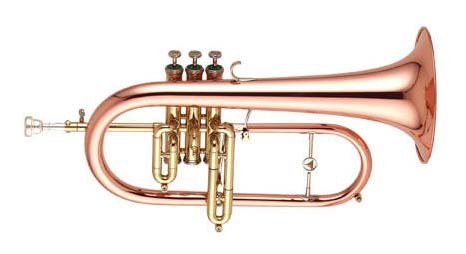 Perhaps the busiest instrument in the band, as well as melodies, it plays counter melodies, doubles cornet melodies, rhythms or helps out the bass section. The percussion section of a brass band is like a cross between a rock band and an orchestra! 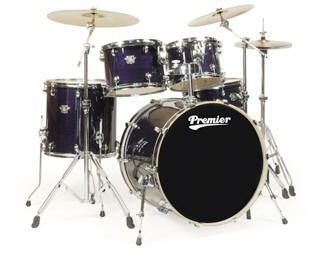 As well and the traditional bass drum and snare drum, bands regularly use drum kits and cymbals. 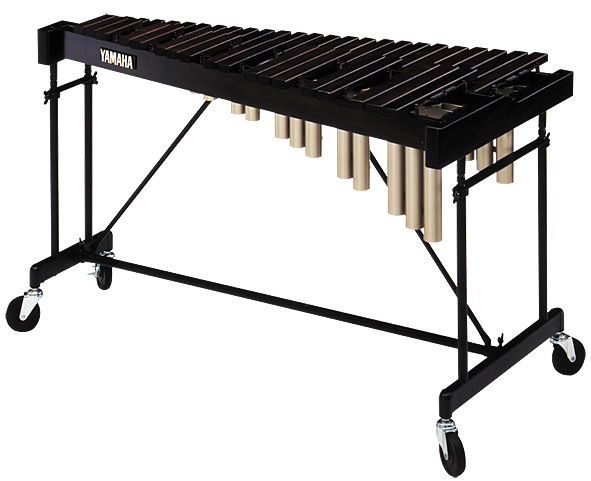 Many will also have tuned percussion like timpani, which are large tunable drums, and keyboard percussion instruments like glockenspiels and xylophones. Also used might be gongs, chimes, bongos, congas, all forms of Latin percussion etc. 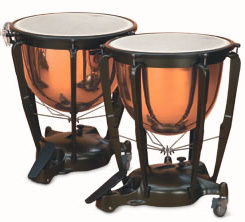 Percussion sections are usually only limited by the size of a band's bank balance!